Do I have to download an eBook to view it? No, you don't! Our e-books can just as easily be read via your phone, tablet, or computer browser. While viewing titles online, you can search their content, turn pages, and print -- all without having to download to your device. 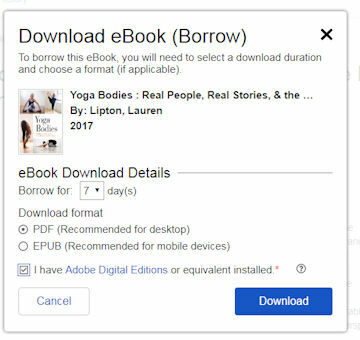 Downloading can be helpful if you wish to view a title offline, i.e., you wish to read an e-book without having to use the Internet, WIFI, or data to access. Where can I find e-books to download? 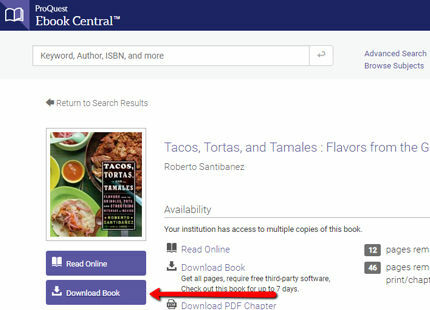 The majority of titles on eBooks on EBSCOhost and all of our Ebook Central titles can be downloaded to e-readers and/or computers for offline reading. What do I need to download an e-book? Adobe Digital Editions, a free software download, is necessary to download e-books to a computer. All devices that support the Adobe Content Server are compatible, although some work better than others. Adobe Digital Editions links to compatible devices on their website. The process for transferring e-books to compatible e-readers differs by the device, so check the device's website for more detailed instructions. Bluefire, an app available in the Android Market or Apple App Store, allows titles to be downloaded to a mobile device. For how long can I checkout an e-book? The check out period for a downloaded title can be anywhere from one to seven days. Most of the time, you get to choose the checkout period. How do I turn in an e-book? Sign into your free My EBSCOhost account (if you don't have an account you will be prompted to create one). Check that you have the most recent version of Adobe Digital Editions. The e-book will open in Adobe Digital Editions. 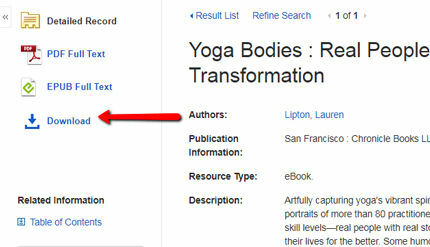 More information at EBSCO's downloading eBooks help page. Download Adobe Digital Editions or choose done with this step if you have already downloaded it. Choose length of loan (1 - 7 days). More information at ProQuest's full download help page.